Description Tweet consists of an injection moulded polypropylene shell on steel tube legs. Available in lots of different colour combinations enabling customisation. 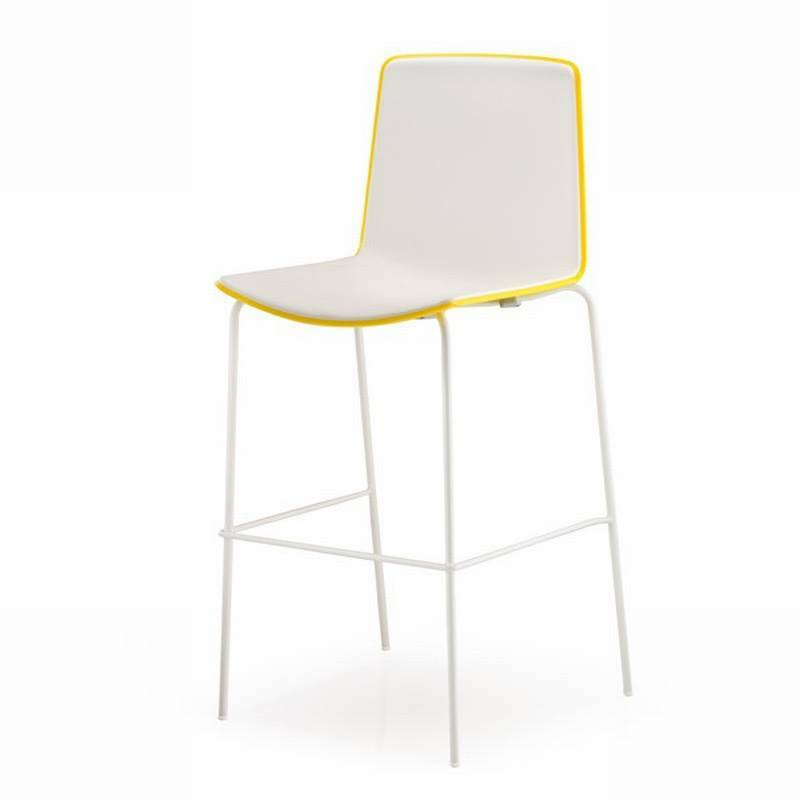 The seat has a matt white front (scrath resistant) and glossy back of a different colour. The legs are available with a chromed or black chromed finish, or powder coated in white or black (matt finish). A version with the same coloured front and back is also available, see related products below.